With the freshness of fall season, the stifling heat of summer is gone and our minds finally turn toward the coming holidays. Visions of family and laughter send us planning family meals, shopping for gifts, and dressing up for Halloween. 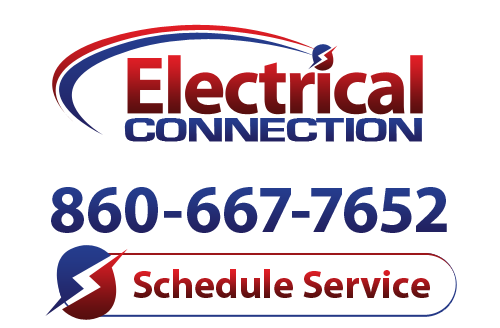 It is so easy to get caught up in this busy season that we scarcely consider the condition of our electrical system. But this is the time of year where the safety of our home, family, and guests is a high priority. So from our family at Electrical Connection in Hartford to yours, consider these three electrical safety tips for a safe and joyful holiday season. It won’t be long before you are lighting up pumpkins and making ghosts for Halloween. Following that, you’ll be setting up the Christmas tree and stringing up the outdoor lights. Before you start using all this extra power, an electrical safety inspection needs to be done. We use more power today than ever before, so putting that extra load on an older electrical system during the holidays isn’t a good idea until you know it can handle the additional demand. Faulty wiring is the number one cause of house fires. But a considerable influence that leads to faulty wiring is overloading the circuit. When the electrical panel (breaker box) is also out of date, it can fail to shut off power to the circuit during an overload. All of these components will be inspected and tested during the electrical safety inspection. You will then know if your electrical system is safe as it is. Be safe this year during the holidays by scheduling an electrical safety inspection this Fall. 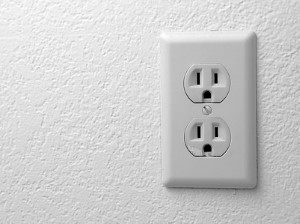 In many areas of the country, old electrical outlets throughout the house are being upgraded to the Ground Fault Circuit Interrupter (GFCI) outlets. They are especially important in locations near water. You will probably be using the kitchen heavily during the holidays. And your guests will be using the bathrooms in your home. During the electrical safety inspection, make sure that your Hartford electrician inspects the outlets for safety. This is a really good time to upgrade them if they need it. As your family and friends visit your home for Thanksgiving or Christmas, will they have enough light to see by? Standard outdoor lighting schemes may not be enough for safety. Make sure they have enough light at the curb and driveway where they will need to cross your property. You may need to install additional outdoor lighting near the entranceway of your home too. Recessed lighting is a great option here. There are outdoor spotlights available that can be set to either motion sensor or dusk to dawn function. As your guest arrive, you’ll want the dusk to dawn function turned on so it is safer for them to traverse your property. If you have a larger property, consider installing pathway lights as well. The last thing you want is for aunt Agatha to fall and break her hip.